How to Grow: Annual. Germination: 5-14 days, 70-75°F. Harvest starts about 10 weeks after sowing. Basil is a pick-and-come-again herb which produces well when heavily picked. Grows best in well-drained rich soil. Sensitive to frost. Direct sow after all danger of frost, or start indoors 4 weeks before last frost. Lightly cover seed (no more than two times the depth of the seed). Spacing: In flats space seeds ½” apart. Thin to 2” apart and transplant in 3-4 weeks. Direct sow 3-4 seeds every 12”. Thin to one plant when plants have 4 leaves. Medicinal: Basil has been used as a carminative. Research indicates that it may inhibit gastric acid secretion. 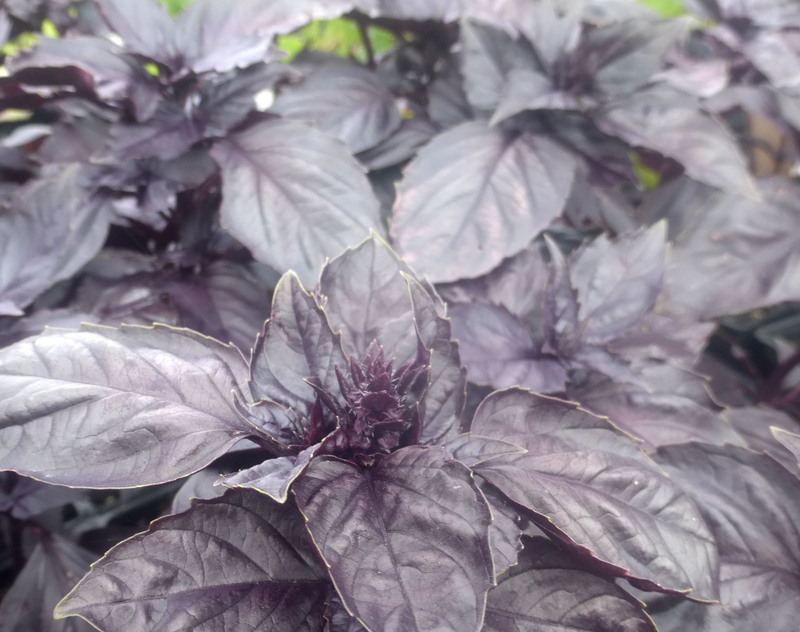 Holy basil has additional medicinal properties.